TREE HOUSE is located at 60 - 68 CHESTNUT AVENUE in district 23 (Bukit Batok, Choa Chu Kang) of Singapore. TREE HOUSE is a 99-year Leasehold Condo development consisting of 429 units. TREE HOUSE is completed / TOP in 2013 (estimated), developed by CHESTNUT AVENUE DEVELOPMENTS PTE LTD.
Educational institutions like ST. FRANCIS METHODIST SCHOOL, GERMAN EUROPEAN SCHOOL SINGAPORE, HOLLANDSE SCHOOL, BUKIT PANJANG PRIMARY SCHOOL, CHIJ OUR LADY QUEEN OF PEACE and ZHENGHUA PRIMARY SCHOOL are near to TREE HOUSE. TREE HOUSE is accessible via nearby HILLVIEW, CASHEW and BUKIT PANJANG MRT Stations. 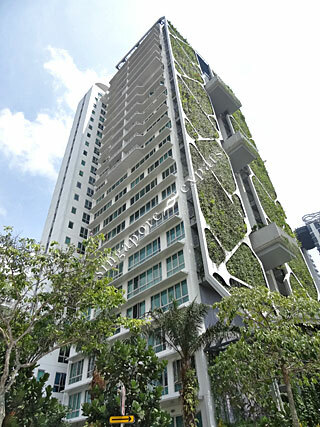 Great condominium with very active management. located in a very serene environment, close to hillview mrt, have many direct bus to orchard and city center via expressway. good facility, low density living. With the new Hillview MRT and Downtown Line amidst the Bukit Timah Corridor, this condo has become even better connected. The landscaping here is a marvel and much better than most condo projects. Unless you are a car owner, accessibility is a concern. Only two buses and none goes to the nearest MRT station, which is distant away (not within walking distance).